I was home last night playing with the new Kinect, integrating it with Twitter, Facebook, and Zune. Particularly because of the last service, I was glad that I got the Xbox 360 model with the 250-gigabyte (gb) hard disk drive. It holds a lot more music, or photos, and of course primarily games and game data. 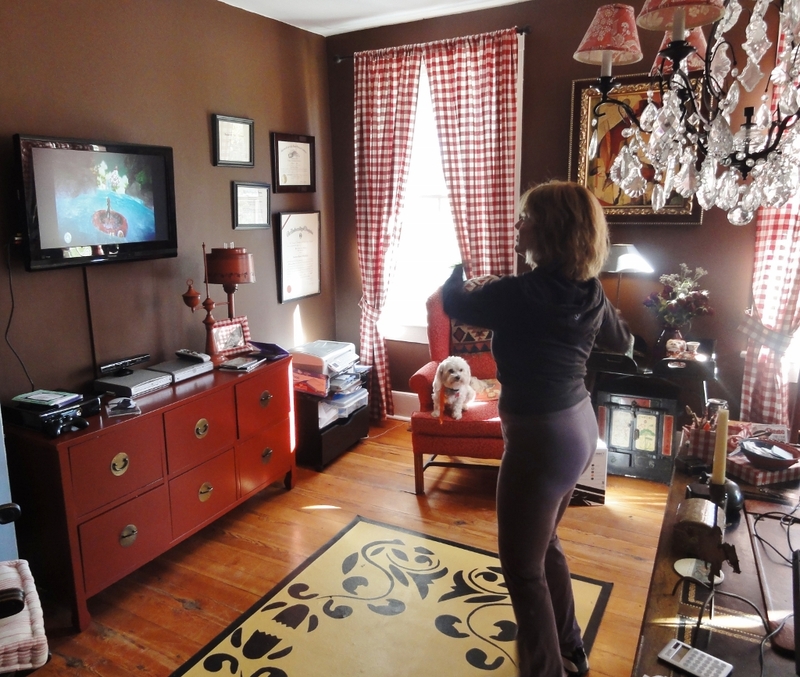 So we wind up with goofy scenes like my wife zooming along yesterday in Kinect Adventures’ River Rush – not only my photo (right) but in-game photos taken by the Kinect Sensor, sitting there below the TV monitor. and most recently a 250gb Xbox 360, for Kinect. All told, I’d estimate that my household data storage capacity totals 2.5 terabytes. A terabyte, you’ll recall, is 1012 bytes, or 1,000,000,000,000 (1 trillion) bytes, or alternately a thousand gigabytes.